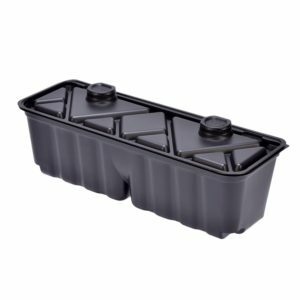 We selected the best options for you and reviewed them thoroughly. You can read the full reviews here. 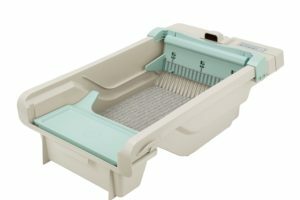 Buying an Automatic Cat Litter Box? Read This Guide First! Owning a cat has numerous psychological and even physiological benefits for humans. But cleaning up cat poop surely isn’t one of them. That’s why you might want to invest in an automatic cat litter box. It is scientifcally proven that cat owners have lower blood pressure and fewer chances to become depressed. Also, scientists have discovered that cats purr at the frequency around 25 Hz which stimulates bone and tissue regeneration. Plus, kitties are super cute, so it is guaranteed that they will put a smile on your face after a stressful day at work. As soon as they start rubbing against your legs and exposing their fluffy belly, you will forget about all your problems. Except one. The dirty litter box waiting for you. Nobody likes cleaning litter. 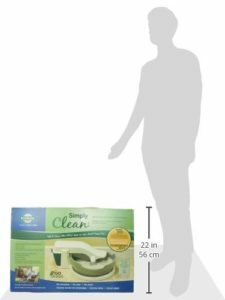 We are all aware that there are many harmful bacteria around and in the litter box, so feline experts, veterinarians, and designers joined their forces to make your life much easier. 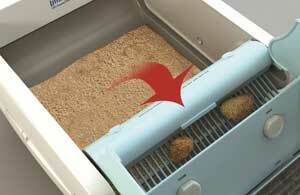 They developed self-cleaning litter boxes that will do this unpleasant daily task for you. 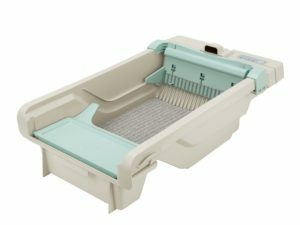 First of all, even if you are not squeamish by nature, automatic cat litter box will keep your home odor free while you are away from home. 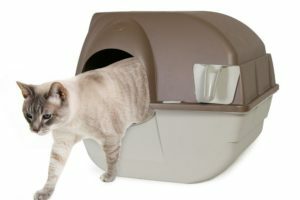 You will be carefree, knowing that your cat is not thinking outside of the box. Kitties are very tidy, so if they notice that their “toilet” is smelly, they will do their thing elsewhere. You can’t blame them, basic hygiene is necessary for felines as well as for humans. Secondly, there are many different dangerous microorganisms crawling around your cats’ litter box. This can be especially harmful to pregnant women and small children, due to their weak immune system. Toxoplasmosis and similar parasitic diseases can be easily avoided just by staying away from the feline’s feces. 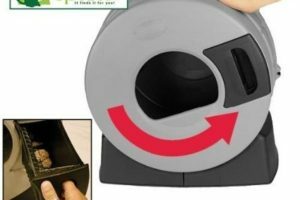 Let the machine do the dirty work to keep you safe from this kind of infections. 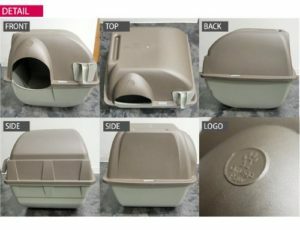 Knowing that there are so many different models of automatic litter boxes on the market, you can pamper yourself and your cat(s) with this innovative way of taking care of the litter. 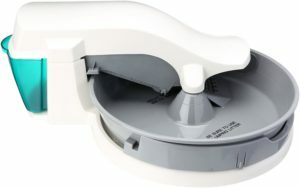 Using a scoop to pick the clumps and feces would be similar to manually washing the laundry or dishes. If you know that there is a way to automatize this boring daily activity, there is no a single reason to continue in an old fashion manner. 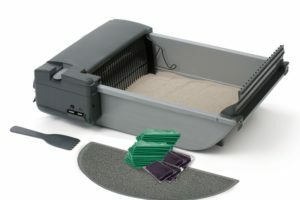 Automatic litter boxes come with many different features. Picking the right one can be a little bit tricky. 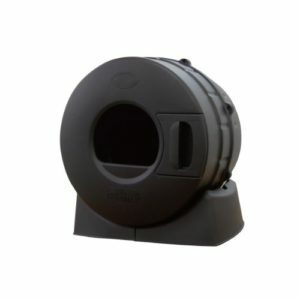 There are numerous factors that can influence your decision like size, shape, noise level, type of litter, warranty, price etc. Some models are very simple and easy to program while others offer more complex solutions. 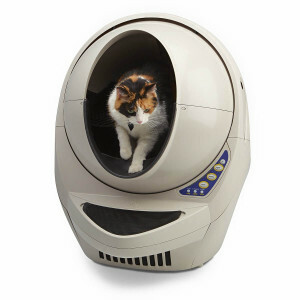 Most of them have built-in kitty sensors that will automatically start the cleaning cycle several minutes after your cat leaves the unit. Kitties’ size and preferences can also be a limitation because some models are not suitable for larger cats. If your household has multiple cats, their number should also be taken into a consideration. Is your cat already accustomed to a certain type of litter? Is your cat large or small? 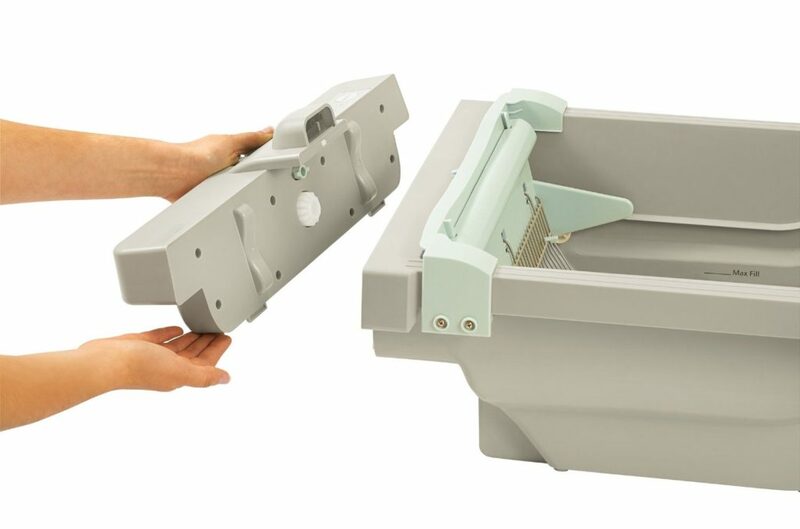 If you have a huge house or a very large apartment, you can skip this part. 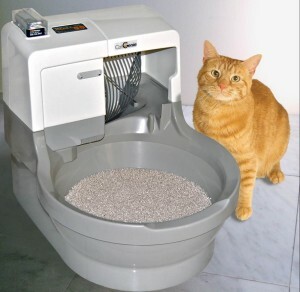 Any type of automatic cat litter box will do the trick. 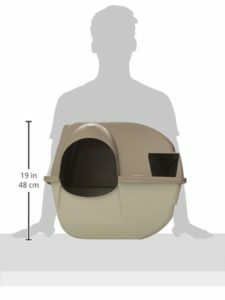 However, if you live in a studio, or in one bedroom apartment that can be a limiting factor when picking a perfect solution for your cats’ needs. 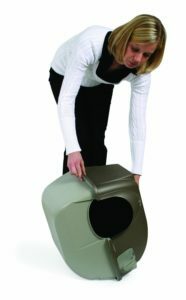 Look for a silent option that is not bulky in size, like ScoopFree Ultra Automatic Cat Litter Box. 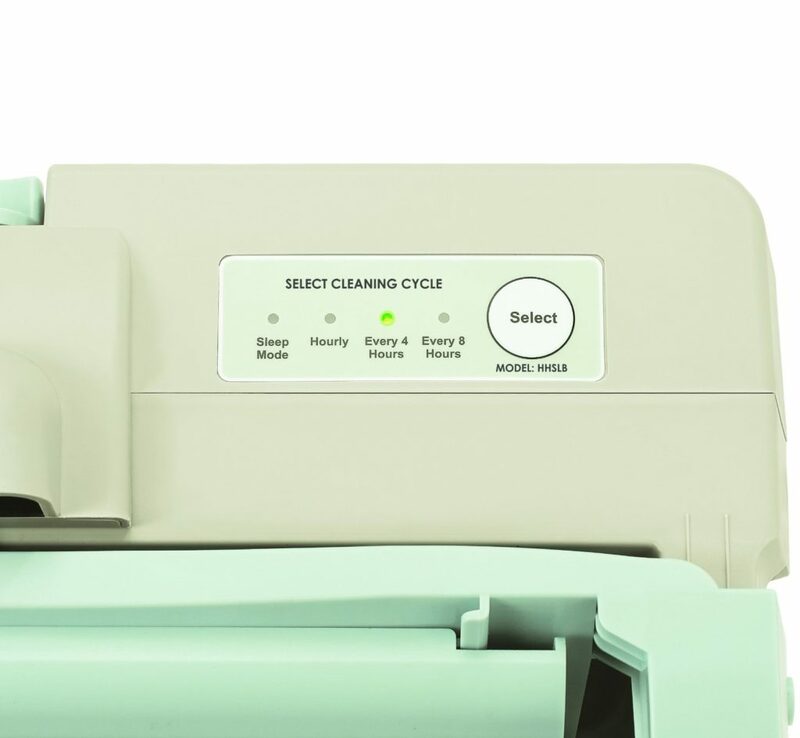 It has a short cleaning cycle that lasts less than one minute. 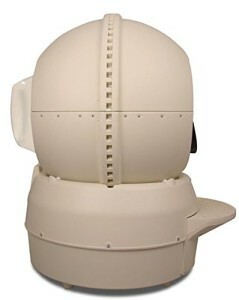 It also comes with a privacy hood, so you will not have to watch your cat while doing her thing. 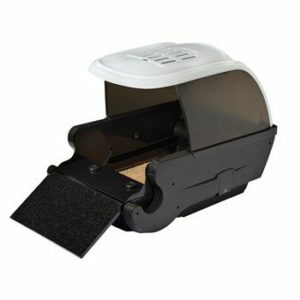 Some automatic litter boxes have a sleep mode that delays the cleaning cycle, to make sure that you will not be disturbed during the night. 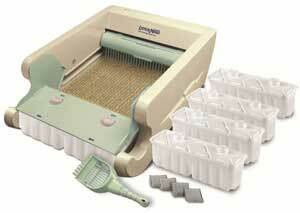 The CatGenie features re-usable, washable litter. 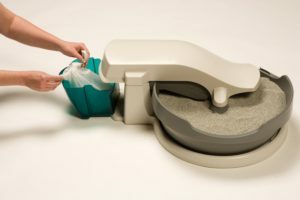 It’s a complete hands-off solution as the litterbox does all the cleaning for you. 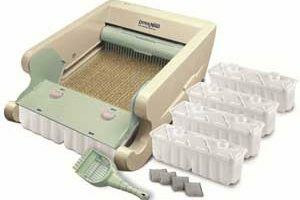 There are three main options when it comes to the cat litter: clumping, non-clumping and silica gel (also known as the crystal litter). 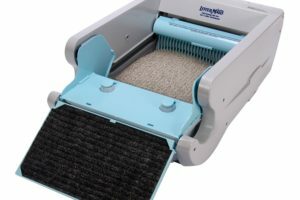 If you know your cats’ preferences, it can make the transition to automatic cat litter box so much easier. 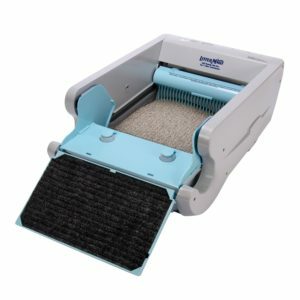 You can also choose the innovative CatGenie Self Washing Self Flushing Cat Box that uses washable granules instead of the standard cat litter. 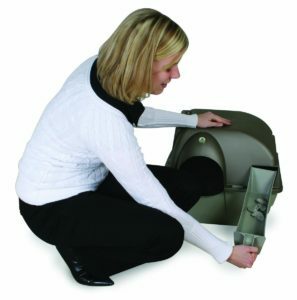 This is the first cat ‘toilet’ on the market. 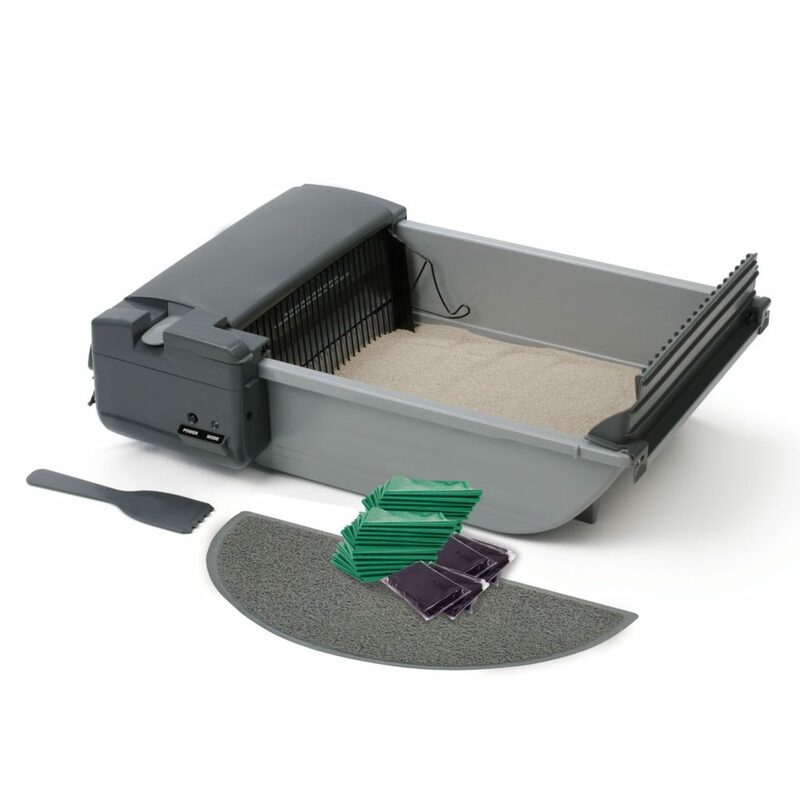 Granules are long lasting so you will not have to buy, carry or change the litter ever again. Cats usually hunt in the dark so they have a very good night vision. But as they age, this function weakens and they might need some help when orienting during the night. 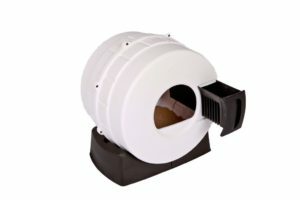 If you own an older cat, buy an automatic cat litter box with the night light built-in, to make sure that she can find it in the dark before it’s too late. This will prevent her from pooping and urinating somewhere else. The ScoopFree keeps track of your cat’s health too. 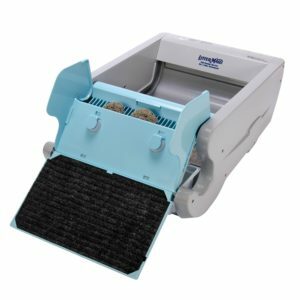 If you are concerned about your kitties’ health, choose an electronic litter box with so-called health counter that tracks the frequency of usage, like ScoopFree Ultra Automatic Cat Litter Box, for example. This will help you notice any changes in your cats’ metabolism and inform the vet timely. Early symptoms of certain health conditions can easily go unnoticed until severe complications start to appear. This is why it is very important to keep track of your cats’ daily routine. 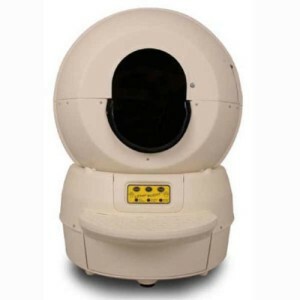 The Litter Robot III Open Air – Good option for overweight & large cats. 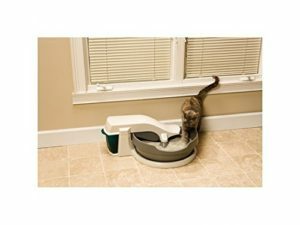 If your cat is larger than the standard size, some automatic litter boxes just might not fit. 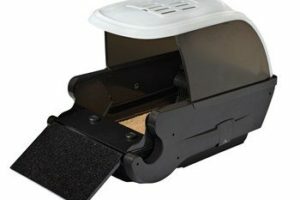 On the other hand, there are certain models, like the Litter-Robot III Open-Air automatic cat box, that are suitable even for felines that weigh up to 20 pounds. If you own a small kitty lighter than the 5 pounds, you should choose the electronic cat box with the manual start option because she might not be heavy or tall enough to activate the cat sensors. Some models have cat sensors that detect kitties’ eyes while others are triggered by the weight change after the cat leaves the box. Use cat treats to award your cat after she goes to the new litter box for the first time. 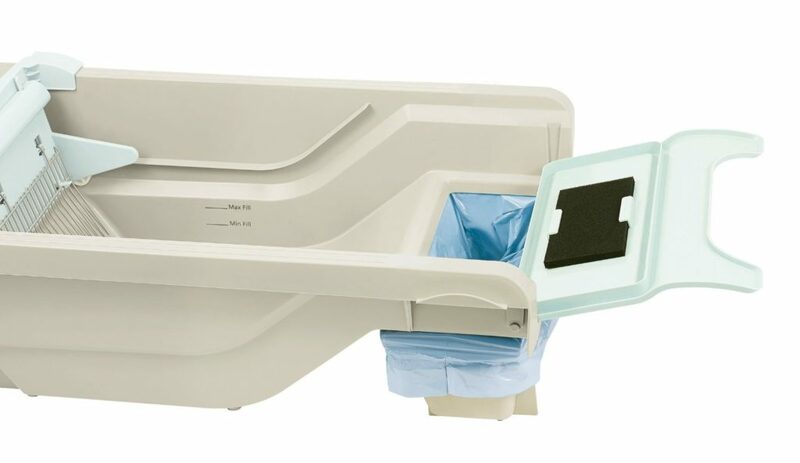 Don’t throw away her old tray until she accepts the new automatic version. Instead, put them close to each other to let the cat now that this part of the room is her toilet area. 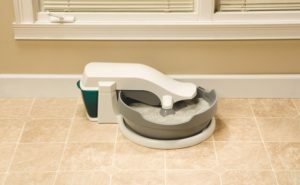 Put the electric litter box away from your cats’ food and water. 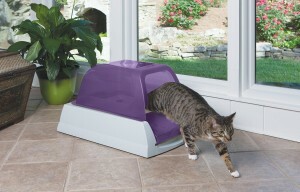 Some kitties are timid, so consider placing her new litter box away from the front door. She might get frightened if a strange person enters the room while she does her thing. 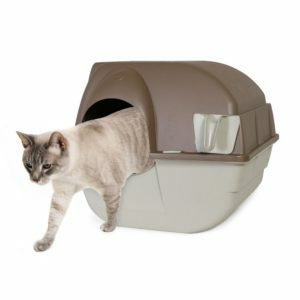 It can make her reject the automated litter box and start defecating elsewhere. 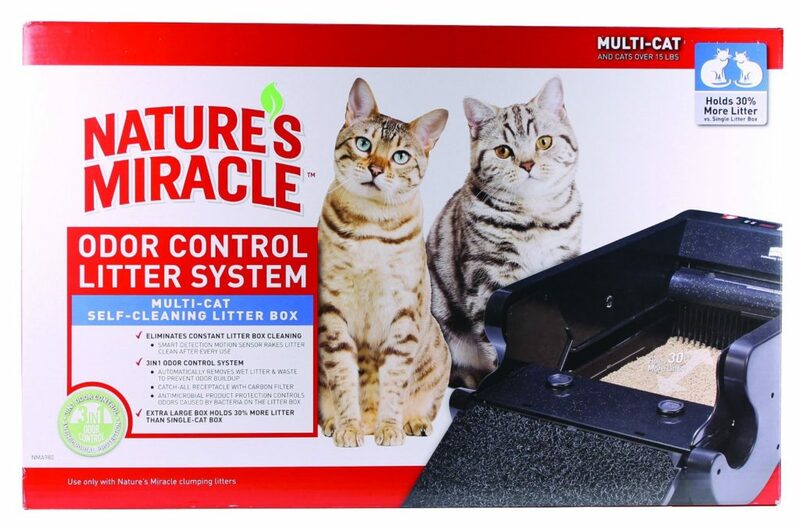 Almost every reliable manufacturer offers 90 days money back guarantee just in case that you and your kitty are not satisfied with the product. You have nothing to lose. 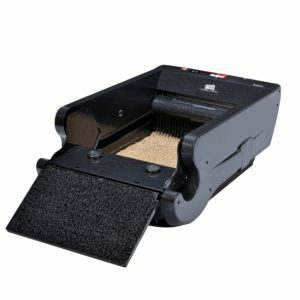 Find an adequate automatic cat litter box and give it a shot. 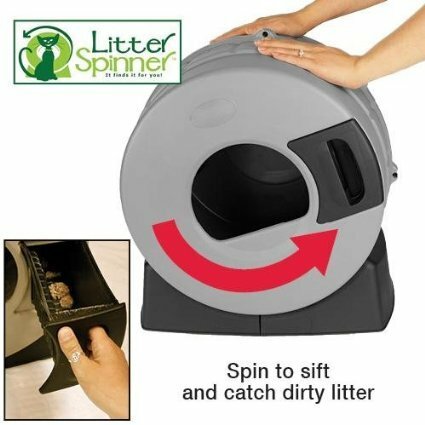 You will be amazed after you discover how fun and easy cat ownership can be now that you don’t have to scoop the poop and smell the used litter. The machine will do everything for you.